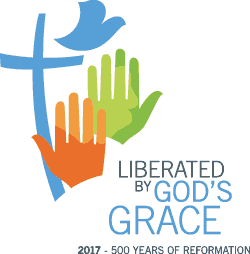 How should we as Lutherans, who are marking the 500th anniversary of the launching of the Protestant Reformation in 2017, read and understand Scripture today? Should we adopt a “one size fits all” approach? Or do we look at our particular context to best understand what God is telling us through Scripture? The Hermeneutics study process is one of the efforts underway to help us reflect together as a worldwide Lutheran communion on how to read and understand Scripture within the framework of the 500th anniversary of the Reformation in our different contexts. We have held a series of consultations, which have focused on the Gospel of John, contemporary interpretations of the Psalms and the Gospel of Matthew, in order to help us find shared interpretive resources informed by the Reformation. Meeting in Africa, Europe and North America, scholars have focused on reading, listening to one another and attempting together to understand the meaning and message from these texts. The fruits of the hermeneutics process will be presented at the June 2016 LWF Council meeting in Wittenberg, Germany. The final version of a hermeneutics statement will be submitted to the LWF Assembly in 2017. Psalms in Contemporary Lutheran Interpretation Despite their richness, the Psalms also raise some interpretive challenges. How do we read such difficult passages as the one which advocates the violent destruction of one’s enemies?